Never wonder how much power is remaining again. 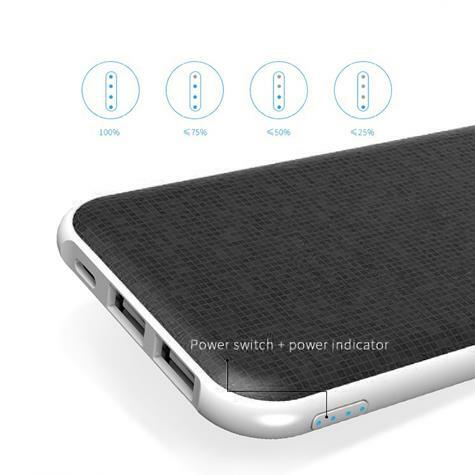 The SlimLife Power Pack shows you how much is remaining at a glance. Indicator lights glow blue so they are easy to read in any lighting situation, even complete darkness. The SlimLife Power Pack lives up to the slim part of its name. Sleek and compact, it is designed to go wherever life takes you with ease. Tuck it in a pocket before you leave and never worry about running out of mobile power again. A stylish lightweight design provides easy fit into your pocket or bag. 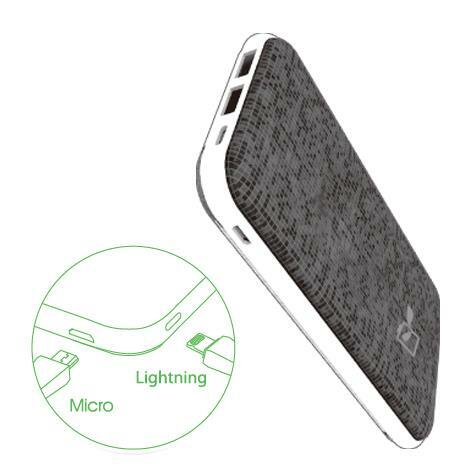 The first Lightning & Micro Input portable charger in the world, which take this charger to the next level of innovation so now no more worry about what kind of devices you take, no matter whichever cable you are carrying, you can recharge the power bank with either the attached micro-USB cable or your own lightning cable. NOTE: Not included Apple Lightning cable so Apple devices need to be charged by your own cable. 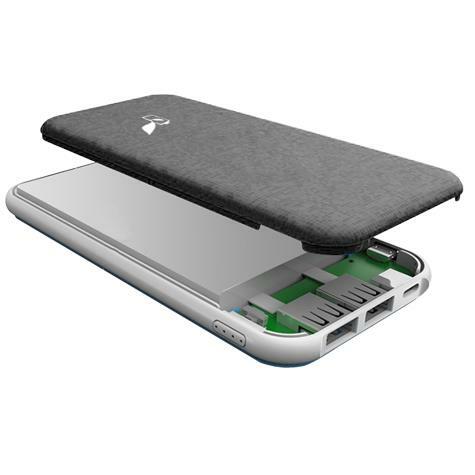 The SlimLife Power Pack is designed with dual USB ports so you can charge two of your mobile tech devices at the same time. Making the agonizing decision over which dead battery gets the juice is a thing of the past. 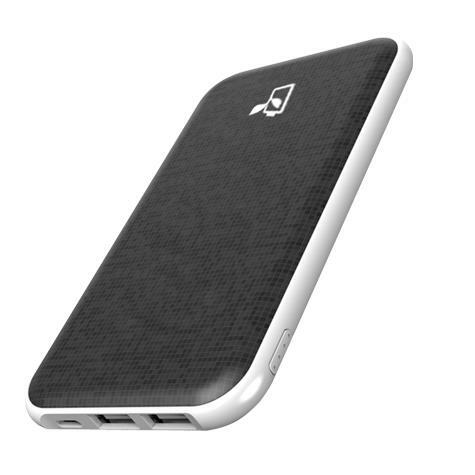 SlimLife is powered by a Lithium-Polymer Battery that provides 10,400mAh of charging capacity. That’s enough juice to fully charge two iPhone Plus 6s simultaneously. Ultra reliable lithium-polymer core ensures quality and premium microchips ensure safety and reliability, offering over 500 times charging and discharging recycling. 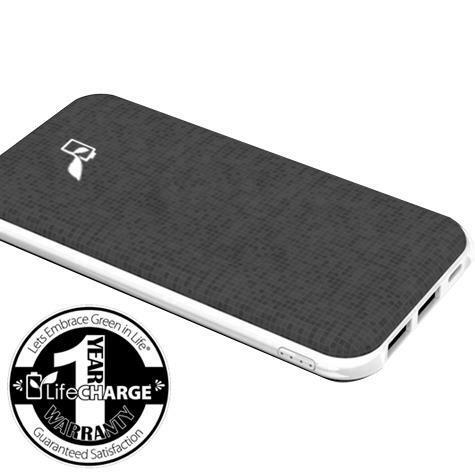 SlimLife is backed by LifeCHARGE’s one-year limited warranty. It is guaranteed against all defects of material and craftsmanship for a full 365 days from the date of purchase. © Copyright 2019 LifeCHARGE. All Rights Reserved.